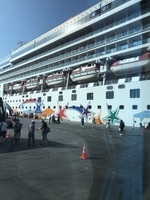 A little summary of my cruise on the 14 day Panama Canal on Norwegian Star February 1-15. The food was excellent and so was the service. I went to the regular buffet the Garden Cafe, the Versailles, Aqua, O’Sheehan and Asian my favourite was Versailles didn’t go to a la carte which was extra cost. Hannah greeted us every morning at the Garden Cafe with a smile “Good Morning, washy, washy” Poolside was nice but always hard to get a chair on deck 12 pool level. 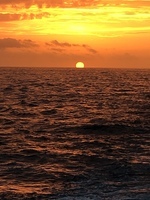 My biggest drawback was the internet, had 250 minutes free for 14 days however extremely slow like 5 minutes to just download a pic or see email and Facebook, did manage to post pics in Puntarenas Costa Rica at a local restaurant with free wifi. 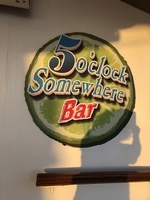 My favourite bar was the “5 o’clock Somewhere. 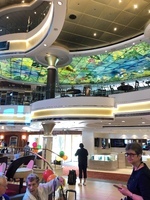 I booked 2 excursions on my own before cruise and 3 more on NCL using the screen on ship very easy. Went on Oceanus glass bottom boat in Cabo SAN Lucas and tour of Acapulco with cliff divers amazing. Went to scenic tour and Jade Museum in Guatemala. Went to Rivas and lake in Nicaragua no excursion in Costa Rica (used time for wifi) My favourite excursion was Chivas party bus in Cartagena Colombia I will post a few pics to follow. The sea was a little rough last 2 days before arriving in Miami but I didn’t mind. 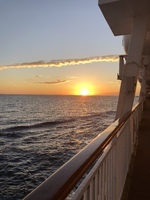 All in all I had a great cruise. Hope these comments will be useful. My favourite Cruise hero was Garnet King, assistant maître D’ working most times in Versailles dining room. 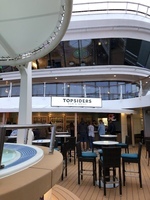 PS for those with smart phones or tablets download the NCL app It was very useful We had 3 time clock changes on cruise and time on phone did not always update but on NCL app always had ship time. Also you can check all the excursions the dining areas your account for purchases and find the daily activities under “what’s happening” so you don’t need to carry your today sheet. 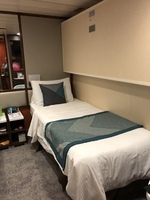 A little summary of my cruise on the 14 day Panama Canal on Norwegian Star February 1-15. 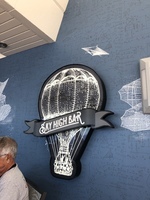 The food was excellent and so was the service. I went to the regular buffet the Garden Cafe, the Versailles, Aqua, O’Sheehan and Asian my favourite was Versailles didn’t go to a la carte which was extra cost. Poolside was nice but always hard to get a chair on deck 12 pool level. 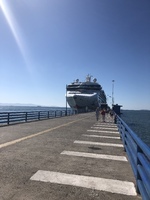 My biggest drawback was the internet, had 250 minutes free for 14 days however extremely slow like 5 minutes to just download a pic or see email and Facebook, did manage to post pics in Puntarenas Costa Rica at a local restaurant with free wifi. 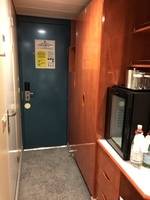 I booked 2 excursions on my own before cruise and 3 more on NCL using the screen on ship very easy. Went on Oceanus glass bottom boat in Cabo SAN Lucas and tour of Acapulco with cliff divers amazing. Went to scenic tour and Jade Museum in Guatemala. I will post a few pics to follow. The sea was a little rough last 2 days before arriving in Miami but I didn’t mind. All in all I had a great cruise. Hope these comments will be useful. most times in Versailles dining room. 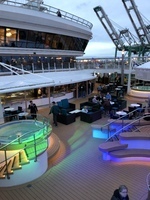 We had 3 time clock changes on cruise and time on phone did not always update but on NCL app always had ship time. Also you can check all the excursions the dining areas your account for purchases and find the daily activities under “what’s happening” so you don’t need to carry your today sheet.